Heavy Duty Bushcraft and Survival knife from Barkriver Knives, USA. 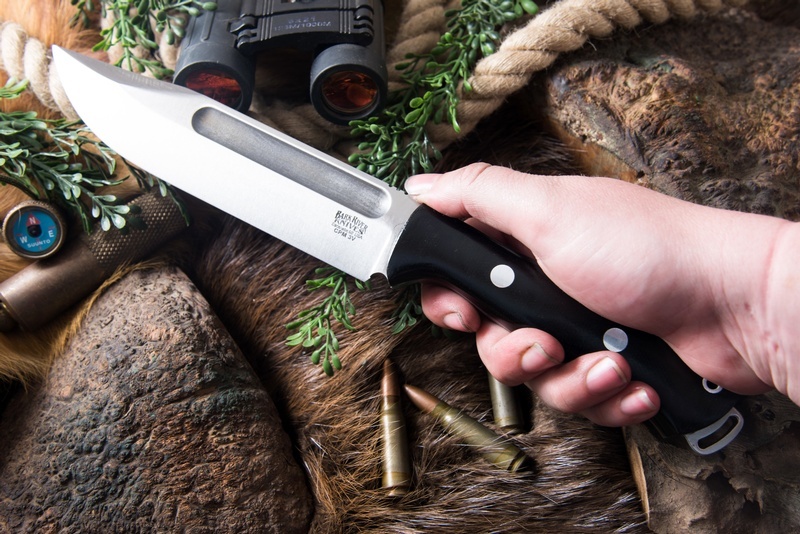 The Squad Leader is the next generation of Squad Leader knives offering a thick .25in spine of 3V steel!. The Clip-point, Bowie Style blade is a great allaround shape and the fullers give the knife excellent balance despite the heavy duty blade. 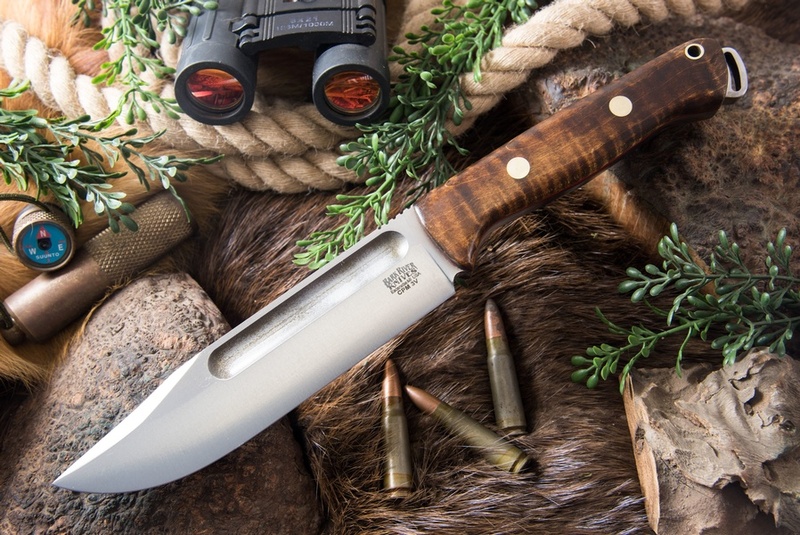 Given the superb Bravo handle, it makes for a superb Outdoor knife. CPM 3V steel is very tough and at 60HRC has great edge holding and the shallow convex grind allows for excellent wood fibre penetration and general cutting performance. Full broad tang with solid pins and slabs, its a great Outdoor tool. 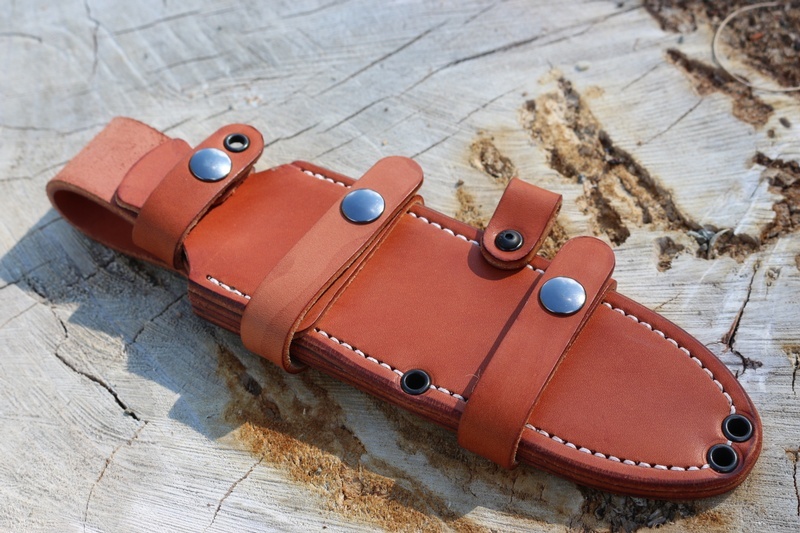 Comes with very well made leather sheath. Handle grain may not match pictures but is a good representation. Purchase through PayPal by using the "Add To Cart" button above or use the form below to order the Barkriver Squad leader 2 Dark Curly Maple . Feel free to contact us if you have any questions about the Barkriver Squad leader 2 Dark Curly Maple .